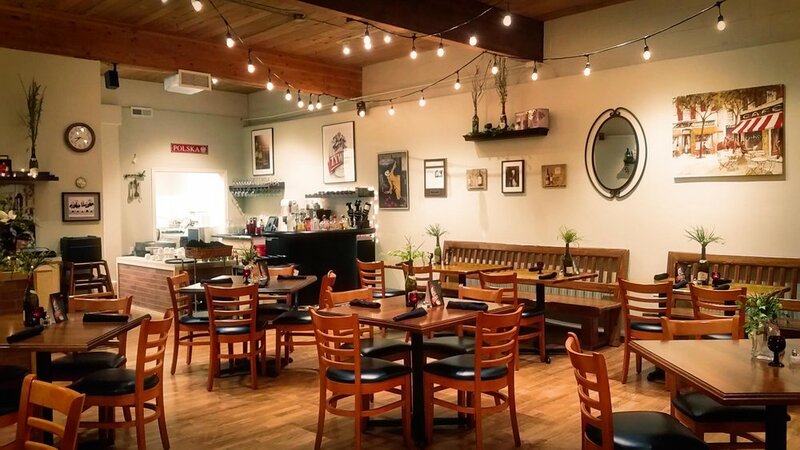 Polska Kuchnia is a European Style Bistro in Stanwood, WA 98292, Specializing in Polish Cuisine. Call Today to make your reservation: 206-355-2893. After visiting Poland and tasting some of the best food ever made, Wojtek and Sara Lisicki discussed starting a Polish Restaurant in Washington State. The idea was it had to be authentic and taste good. The first venture was with All About Pierogies that featured handmade Pierogi and Kielbasa at the local farmers markets in Stanwood and Arlington WA. After great success, they decided on a cafe-style theme common to Poland and Europe. Stanwood was chosen as their first restaurant location as they had gained popularity and discovered there was a Polish community in the area. Customers have driven from as far south as Vancouver, WA and as far north as Vancouver, BC to try our restaurant. People from places such as North Carolina, Connecticut, California, Texas and Kansas City on vacation drive out of their way because they miss their Polish food back home or miss Grandmas Polish cooking. They have had many great visitors and they hope to have more to come. If you want an adventure without the expensive trip, we are the place to visit. See you Soon! Polska Kuchnia © All Rights Reserved.